Beijing: Ren min yin yue chu ban she, 1982. 75p., slender paperback, very good. Musical notation. Post-revolutionary compositions for the pipa (Chinese lute). 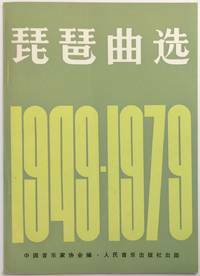 New York: Columbia University Press, 1969. Hardcover. Hardbound, v.two only, nice copy: 515p., cinnamon-brown cloth boards with green & gilt spine label, top edge tinted red, a completely sound clean item with no ownership or any other sort of marking, somehow separated from its companion. 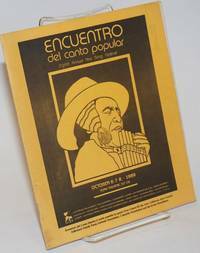 San Francisco: Encuentro del Canto Popular, 1989. [24p. ], staplebound program booklet, very good. 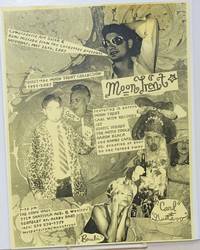 Includes biographical summaries of performers and other participants, and messages of support. The event at the York Theatre brought together exemplars of the musical movement associated with Latin American liberation struggles of the time. 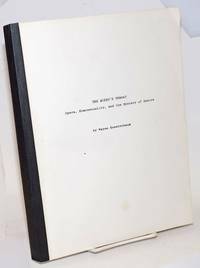 no place: Self-published by the author, no date. Paperback. 368p., notes, index, illustrations, very good manuscript photocopy bound with black cloth library tape spine. 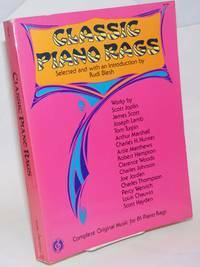 Eventually published by Poseidon press in 1993. 1908. Photographic postcard depicting sixteen men posing with instruments in their uniforms. Postmarked 1908, mailed from Syracuse NY to a Jersey City address. Some adhesion and a stain to the verso where it appears to have been pasted in an album. Havana: Editorial Orbe, 1980. 52p., staplebound booklet, very good. Includes music and lyrics to a sampling of songs. New York: Mutual Music Society, Inc, 1943. 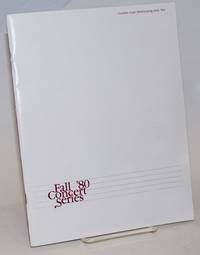 Sheet_music. 47p., plus p. publisher's ads, profuse musical notation with lyrics, printed on semi-alkaline jpaperstock (slightly toned), staplebound in 12x9 inch pictorial wraps. The spinefold is quite abraded with an inch-long split at the heel; general edgewear with a couple short closed tears, crimping and remnants of a long-gone sticker, plus a seller's numeral written in ink.. Textblock within is clean, sound and unmarked, a good (good-only) copy. 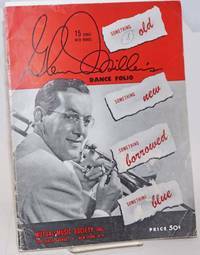 Starts with "String of Pearls" (with a copyright of 1942) and includes "It 's Great To Be an American" ('41). Internal evidence shows this indeed to be a product of 1943: there are no later copyright dates, and a laudatory prefatory page mentions only his early struggles and his current immense popularity. FYI, his younger brother Herb was orchestra leader at Pacific Grove High School and we PG-ians noticed he didn't like to talk about Glenn, dead or alive. New York: Leo Feist, 1913. 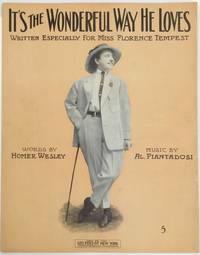 4p., 10.5x13.5 inch sheet music, with a picture of male impersonator Tempest on the front. Tempest's first name was various spelled Florenze and Florence; after WWI, she usually seems to be listed as 'Florence.' She and her sister Marion Sunshine appeared as Tempest and Sunshine with Flo usually assaying the "male" roles.In this case, the song is a more typical paean from a woman to a man. New York: East Village Other, Inc, 1967. Newspaper. 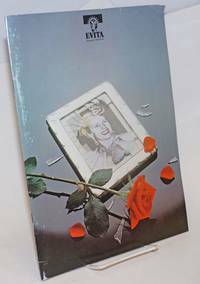 24 p., folded tabloid, 11.5 x 16.5 inches, illus., a bit of light fraying, two or three closed tears due to printers, a little chipping at spine quarterfold, lightly toned, mailing label overlaps logo, else good condition. 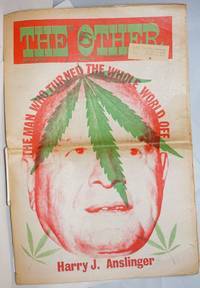 Cover of Harry J. Anslinger as "the man who turned the whole world off," accompanied by lengthy profile of Anslinger. Article on Indian Affairs, another on Last of the Mayans, and interview with Buffy Saint-Marie; also: piece in Ravi Shankar, stream of consciousness from High Romney (Wavy Gravy). Half-page early Spain comicstrip "Robin Bragrag", and usual ads and kipple of the era. San Francisco: Golden Gate Performing Arts, Inc, 1997. 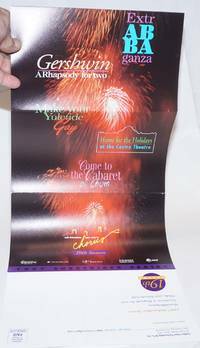 12-panel brochure folded to 9.5x5.5 inches landscape format, season schedule and information, order form, very good on heavy card stock. Advertising mailer for the SFGMC which included: ExtrABBAganza, Gershwin: a Rhapsody for Two! and Make Your Yuletide Gay. San Francisco: Self-published by the photographer, no date. Photograph. 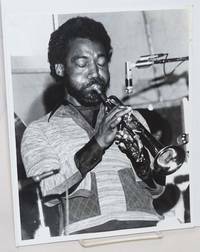 8x10 b&w original photograph of an African American jazz trumpeter playing, lightly-worn, white margin, foxing on rear and photographer's label affixed. Copi is a well-known and great photographer of musicians. His subjects have included The Grateful Dead, Jim Morrison, Janis Joplin, Miles Davis and many others. I cannot definitively identify this musician though he reminds me of Blue Mitchell. Appears to be 1970s by hair style and clothing with fly-away collar. San Francisco: Golden Gate Performing Arts, Inc, 1980. Magazine. 64p., 8.5x11 inches, histories, Jon Sims bio, schedule, ads, very good season program in stapled glossy white wraps. Season program listing information and schedules for the SF Freedom Day Marching Band, SF Lesbian & Gay Community Chorus, SF Gay Men's Chorus and others. Seattle: University of Washington, 1962. 24p. 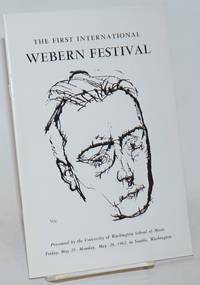 includes covers, 6x9 inches, schedule of events, messages, participants, program, program notes, very good souvenir program booklet in stapled white pictorial wraps. London: Dewynters Ltd, 1978. 32p. 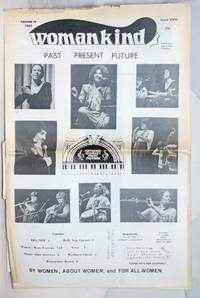 includes covers, 9x12 inches, historical background, cast bios and photos, production stills, lightly-rubbed covers otherwise very good souvenir program in stapled pictorial wraps. Original London West End run which preceded the Broadway but after the original Eva (Elaine Page) had been replaced by Stephanie Lawrence. [Oakland]: Self-published by the author, 2004. Calendar. 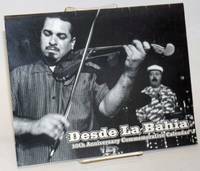 [28p] 11x8.5 inches landscape layout, twelve-month calendar for 2004 featuring Maiden's b&w photos of Latinx players, very good in stapled pictorial covers. Varela wrote a monthly column for Latin Beat Magazine called Desde la Bahia. 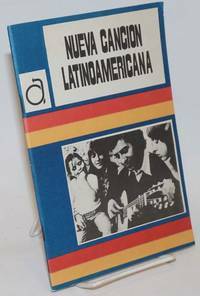 Includes birthdays, of hundreds of performers and musicians, photos of such greats as Conga Extravaganza, Jesus Diaz, Lichi Fuentes, Chata Gutierrez at KPOO, Orestes Vilato, Dr. Jose Cuellar aka Dr. Loco, John Santos and more! Berkeley: Heebie Jeebie Music, 2000. VHS Tape. Fine VHS tape in shrinkwrapped case. 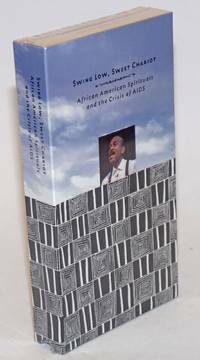 Six songs recorded in the early 1990s by the African American ethnomusicologist, compioser and singer who died of AIDS in 1993. San Francisco: SFGMC, 2010. Magazine. 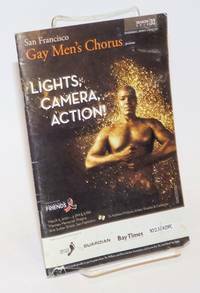 [40p] includes covers, 5.5x8.5 inches, ads, bios, photos, lightly-used event program booklet in stapled glossy pictorial wraps. Season 32. Jan Wahl was the Special Guest in this film-score oriented production.